have kayaks, will travel: TSA permits billiard cues aboard. Why not paddles? Hello. 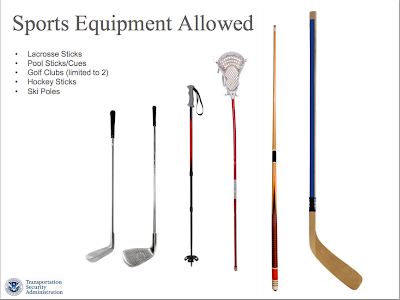 I am writing to ask that the new "sports equipment allowed" list include kayak and canoe paddles. I travel by airplane with my paddles (fragile, made of carbon fiber) about four times a year. I worry every time I check them because they are easy to damage, and I pay extra each time because they are an awkward shape and must be packed alone (and are therefore an extra piece of checked luggage every time). I Googled "murdered with a golf club" and got 33,800 results. "Murdered with a kayak paddle" brings up no results about actual murder (only a profane twitter post). And "Hit with a kayak paddle" brings up five results, none of which are about aggression of any sort. Paddlers aren't a huge part of the population, so checkpoints aren't going to be overwhelmed if we are allowed to carry our paddles on board. And we aren't a violent bunch, either. "Violent golfer" brings up 1190 results, while "violent kayaker" brings up four. 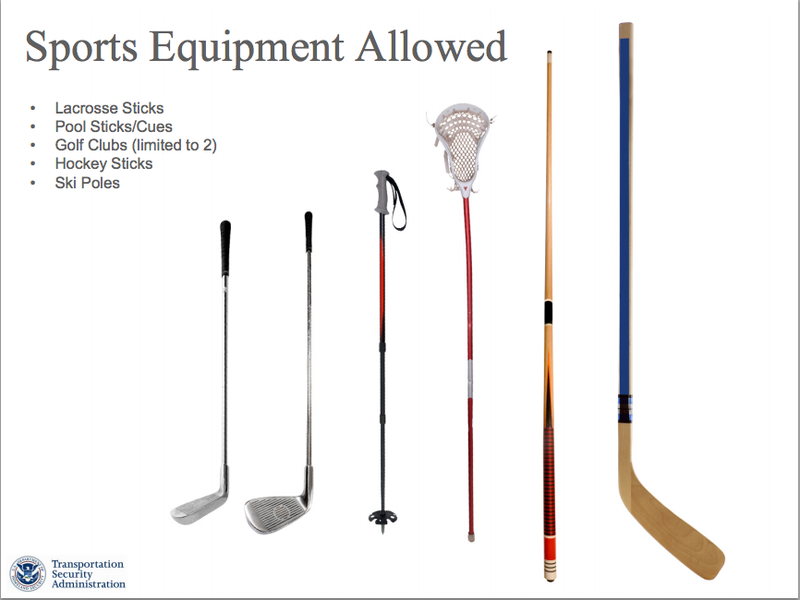 Really, now that golf clubs and even ski poles (ski poles! With pointy tips!) are allowed, can kayak and canoe paddles also be permitted? Thank you in advance. I look forward to hearing back from you. Would a 4 piece breakaway paddle get though just based on smaller size? Hand paddles are surely the way to go!! Or just start shipping your paddles UPS before you head to the airport! Probably way cheaper than an addition piece of checked baggage as well as insured! Jeremy, we have heard many paddlers travel with 4 piece paddles. Technically they are not allowed, but with the more compact size they don't seem attract notice. We have shipped gear by UPS as well, but will say that it isn't cheap either, you still have to worry about damage, and then there's the chance of your gear getting lost. Overall, we prefer to take our gear (including paddles) on the same plane we are on. Thats suprising, you think a golf club would do more damage.